Posted on October 3, 2013 by Financial Underdog	in history, silly, Uncategorized. Last week I looked at Canadian banknotes and how interesting they can be. But other nations’ money can provide some entertainment too! Israeli lira from 1968 featured a portrait of Albert Einstein. You can still buy it on eBay for roughly $10 if you happen to be a big fan of his. Not many people know it, but Albert Einstein was offered Israeli presidency back in 1952 but turned it down. 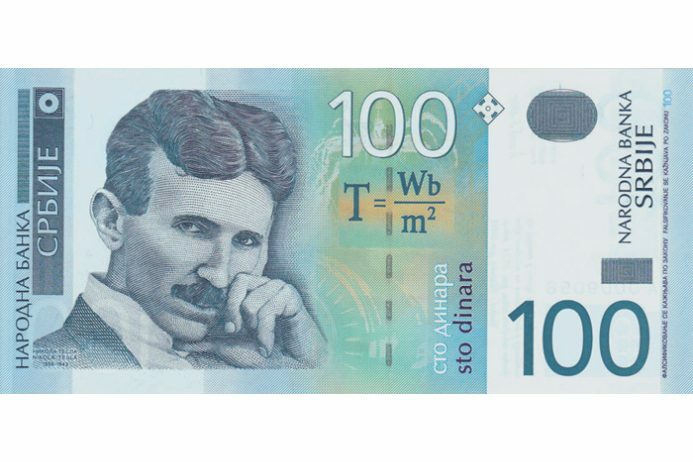 Serbian dinar also features a man of science – Nicola Tesla himself. The back side features a picture of electro-magnetic induction engine. Turkey went all math instead of physics. 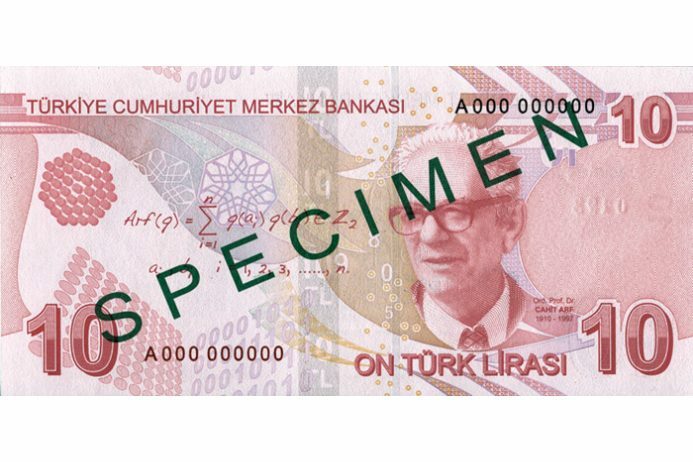 Their banknotes have a portrait of Cahit Arf – Turkish mathematician. While I consider myself fairly knowledgeable in math, I couldn’t even being to understand which part of mathematics he’s famous for. Did you know that Canada used to have a 4-dollar banknote? They date back to early 1900, and were withdrawn from circulation shortly after. 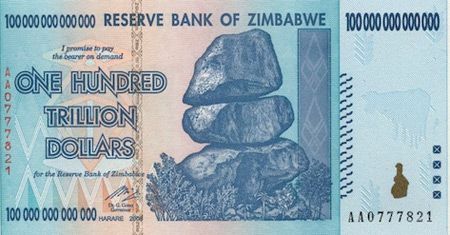 Zimbabwe went through a brutal cycle of hyperinflation – money was being printed with no regard to state of economy. More money flooded the market, and prices kept rising to no end. The banknotes issued risen in denomination. Below is a banknote for one hundred trillion dollars – probably just enough to fill up your car with gas! Democratic Republic of Congo used to be known as Zaire. Joseph Mobutu ruled the country until he was overthrown in 1997. 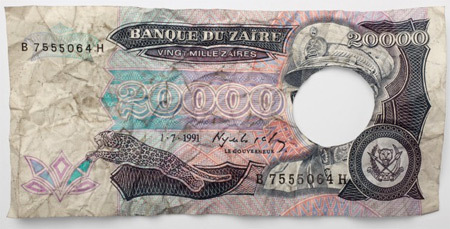 Instead of producing brand new money, new govt decided to punch holes in old money to get rid of his face – that resulted in producing banknotes with holes in them. I guess he wasn’t very popular, and everybody was sick of his face.